Cash rewards are being offered for information leading to the arrest of 7 suspects wanted for various crimes in Abilene. 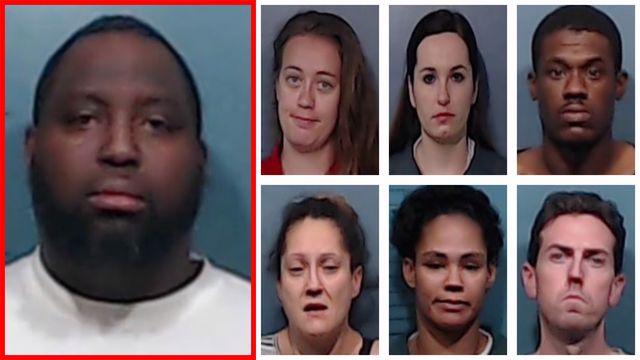 ABILENE, Texas (KTAB/KRBC) – Cash rewards are being offered for information leading to the arrest of 7 suspects wanted for various crimes in Abilene. Anyone with information on these suspects is asked to call Abilene CrimeStoppers at (325)676-8477. CrimeStoppers is offering $250 cash rewards for information that leads to the capture of 10 of the suspects, and a $500 cash reward is being offered for information that leads to the capture of the featured fugitive, Cash rewards will only be awarded if the information is received during the week their mugshots are aired on "Abilene's Wanted Criminals". "Abilene's Wanted Criminals" is a police-run social media segment that will highlight wanted suspects from around the City each week. Episodes will be posted to the Abilene Police Department's YouTube page.